The Kenwood TS-2000X is similar to the Kenwood TS-2000 but has the 1200 MHz option installed and is especially suited for satellite operation. This rig can also be operated via computer or optional RC-2000 control head. DSP. Built-in 1K2/9K6 TNC. Auto-AT on HF/6 m. DX-Cluster functions. I have two off them! Rediscover the pleasure of working AM mode again! Great shack in a box. I get excellent reports on audio quality in all voice modes, even on AM. Yes, I again enjoy AM QSO's on 50.400MHz, 29.000MHz, 7295KHz, and even 3885KHz. Best sound SSB rig that I have. I never thought that SSB could sound so natural. This rig was opened up to work 60M, but be aware that the built-in antenna tuner will not work there. Not a problem if you have an external tuner. built-in tuner works every where else on HF and 6M. As a bonus, the VHF / UHF sub-bands RX AM aircraft band, the 222MHz FM band and even the 900MHz band. Great NB on this rig that really is effective. That Beat Cancel button (Part of its DSP. ), is great for eliminating HET's on people tuning up on your QSO's. RX audio quality can really be appreciated with good headphones like the AKG K240. A good stereo speaker works well with this rig too, like Radio Shack Nova 15's. Yes, RX sensitivity is not the greatest, but that can be improved upon. All mode 2M and 432 are nice to have again. This rig is a keeper with me. When I first bought the 200X I found it a bit intimidating with all the buttons and menu items. I originally bought it to work satellites hoever I found that to be difficult for me as I didn't understand a lot about satellites communication. However it is an awesome rig once you learn everything. Built in out tuner, built in feature to work RTTY etc. Over all I would rate it a very good rig for the experienced ham or a fast learner rookie. Estimating the value of a rig can be challenging. 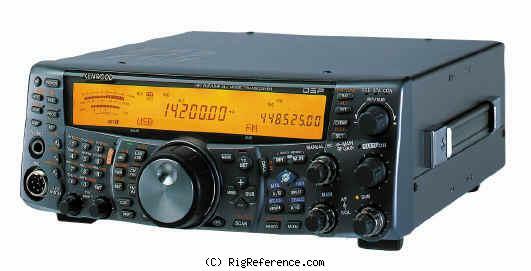 We collect prices paid by real hams over the years to help you estimate the current value of the Kenwood TS-2000X. Just bought or sold this model? Let us know what you traded it for and help other ham operators!